​St. Hildeburgh's is the Church of England Parish Church of Hoylake in Wirral, United Kingdom. We are a warm and welcoming Christian family that is growing. We have services in modern and traditional styles that cater for the whole community, ranging from Holy Communion in modern language, a monthly family praise service to services using the traditional language of the Book of Common Prayer. There are many parish groups and activities such as Mums & Tots (for whom there is a special fortnightly service), 'Voyagers' for young people, and a luncheon club for senior members of the community. We have strong links with our local community, for instance with our local church school (Holy Trinity), the local RNLI lifeboat, the air cadets and many care and residential homes to name but a few. Our services are open to all: whether you have been a worshipper all your life or have never been to church before. We aim to make everyone welcome. Do join us! 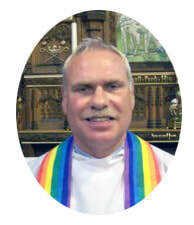 "As Vicar of Hoylake, I would like to extend a very warm welcome to you from our growing Christian family here at St Hildeburgh's. We are a people founded on prayer and worship through Jesus Christ that aims to reach out to the whole local community: First, through a diverse range of worship - both modern and traditional; second, through our growing community activities that seek to provide something for all the people of Hoylake. We hope you will join us. Welcome!